Warner Bros. Pictures has officially announced that Ben Affleck has been cast as Batman in director Zack Snyder’s Man of Steel 2. 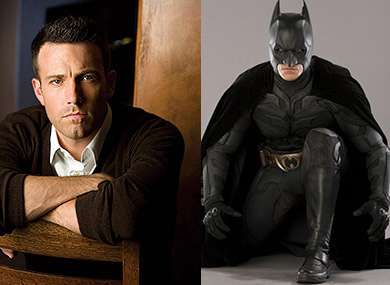 Perhaps the studio read my 2011 article Man of Steel – Six Degrees of Ben Affleck. Ending weeks of speculation, Ben Affleck has been set to star as Batman, a.k.a. Bruce Wayne. The announcement was made today by Greg Silverman, President, Creative Development and Worldwide Production, and Sue Kroll, President, Worldwide Marketing and International Distribution, Warner Bros. Pictures.